This is the first year that I didn’t use an all-in-one packaged curriculum to teach my boys with. After homeschooling for five years, I have a better feel for what works for us and what doesn’t, so I was able to venture into the daunting task of piecing together my own curriculum. 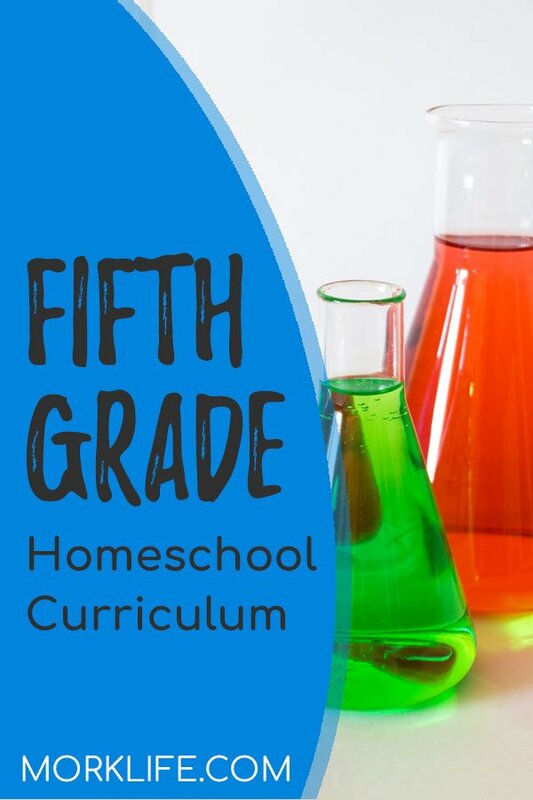 I hope that sharing my fifth grade homeschool curriculum with you will give you some ideas for your own! You can also find my third grade homeschool curriculum here. 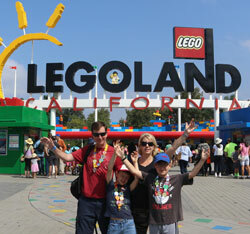 Like many of you, I have two boys that, when forced to write, whine and complain to no end. This year led to an interesting discovery though. I learned that if I ask them to write something, say a book report or a short essay (gosh, even just a paragraph), it’s like asking them to chew off their own arm. But, when left to their own devices, they love to make up their own stories and keep a journal. Why? Because I didn’t ask them to. So this year I decided to just stick to teaching the foundations of writing — spelling, grammar, punctuation, etc. For my fifth grader, I chose to use Editor in Chief from the Critical Thinking Company, as well as Inference Jones Level 1. We also tried Writing Detective, because I thought it sounded like a fun way to get the boys to write but alas, it failed as well. For spelling we have been using Word Roots, which teaches the meanings of roots, prefixes, and suffixes. It went along very well with our history this year when we were studying Greek and Roman history, and they were able to see the Latin roots of so many words in the English language. We started with the beginner level and I plan to move on to Level 1 next year. This year we began the Story of the World sequence. I was hesitant at first because I had read that it might be too easy for a fifth grader, but I found that with modifications on the activities it worked just fine. For example, when the activity book called for coloring a picture of a battering ram, I had my boys build one in Minecraft instead. The corresponding activity guide suggests several different activities so you can really pick and choose what works best for your kids. I taught the same history to both my third and fifth grader. Most of our readers this year were based on what we were reading in history. I do plan to write another post about all of our readers and how they go along with the Story of the World spine. For now I can tell you that my fifth grader absolutely loved reading the Percy Jackson and the Olympians books when we were studying Greek gods. I only assigned the first book, The Lightning Thief, but he went on to read all the rest in the series on his own. Then for Christmas he asked for the next series based on the Roman gods, Percy Jackson and the Heroes of Olympus. We also used Usborne’s Book of World History and Time Traveler to supplement our history studies. Two years ago we discovered Teaching Textbooks, and we have used it every year since then. Although my third grader choose not to use Teaching Textbooks this year, my fifth grader still enjoys using it. This year they switched to an online program rather than CDs, and I appreciate that since I now only have one kiddo using the program, the online version is WAY less expensive. If you are teaching multiple ages, however, you may want to still opt for the CD version because you can use it again with each child. The online version only works for one child, and he/she has a year to complete it. I appreciate Teaching Textbooks because it often times explains math concepts in a way other than the way I learned or the way I would teach it. Sometimes it helps to have a few different ways of learning math, because one will always “click” better with your child. Science is another area where I always teach the same curriculum to both boys. This year we used Bookshark Science Level 3. We have used Bookshark in the past for our complete grade-level studies, but their subjects can also be purchased individually. Their levels don’t really correspond to a grade level, so when choosing a level pay more attention to the assigned age range for a good fit. We really enjoy Bookshark Science, it’s very hands-on and the lessons are not too long and the lessons are designed to be taught 4 days a week. This works perfectly for us because on Fridays both boys attend a homeschool enrichment program. We’ll be using it again next year. In addition to the basic homeschool curriculum of math, reading, language arts, science and history, I also add in typing, Spanish, and coding. We don’t add in the extras every day, instead we alternate days with spelling or grammar lessons. For Spanish the boys have been using Duolingo, an online program. It’s free and it offers several different languages. I’m not exactly sure how much they are really gaining from the program, but for now I think it’s a good introduction. In the future I hope to find a way to reinforce things like vocabulary and grammar. We used a few different typing programs before we settled on NitroType. They were introduced to it at their homeschool enrichment program and I figured that if they were already using it there and enjoyed it then they should just continue to use it at home. The program involves car racing, the faster you type the faster your car goes, so it was really the perfect fit for two boys that love cars. Ok, we made it to the end! I hope that this has been helpful for you! 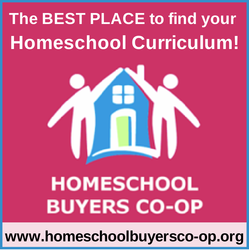 I know that I always enjoy seeing what other families use for their homeschool curriculum because there are just so many choices! If you’d like to see what we used for my third grader this year, hop on over to this post.